Knights of Creativity Spirit & Ale: Another Knights’ Road Trip? Knights are, of course, always in search of unique places and experiences – especially bars. Check this one out I found on the web. 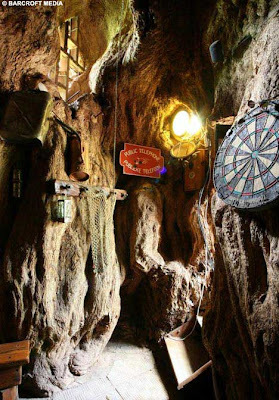 A bar inside the trunk of a Baobab tree has tourists flocking from far and wide just to drink a cold brew in the amazing tavern. 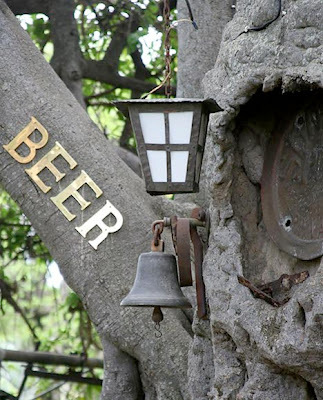 It was fashioned inside a massive 72 foot (22 meters) high tree in a garden in Limpopo, South Africa, for thirsty locals. Grown in the grounds of Sunland Farm, the tree trunk is so wide it takes 40 adults with outstretched arms to encircle its 155 foot (48 meters) circumference. The trunk is hollow, but its walls are still up to 6.5 feet (2 meters) thick. 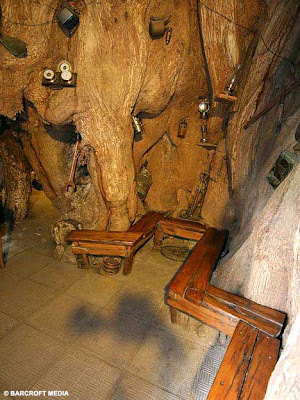 The tree has its own cellar, with natural ventilation to keep the beer cold. Carbon-dating has determined the ancient tree to be about 6,000 years old – possibly the biggest living thing on earth. “This tree is likely to be older than the Giza Pyramids of Egypt.” said Heather van Heerden, owner of Sunland Farm. 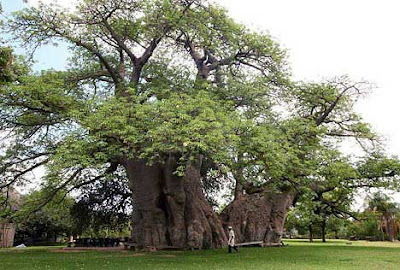 More than 7,000 visitors come from all over the world to see the grandiose Baobab every year and have a drink in its pub, which has 13 foot (4 meter) high ceilings and comfortably seats up to 15 people (though they report having as many as 54 people inside). While clearing out the hollow centre of the tree trunk, the van Heerdens found historical evidence of Bushmen, indigenous people of the Kalahari desert, who may have once lived in the tree. They also found artifacts belonging to the Voortrekkers, the Dutch pioneers who traveled through South Africa in the mid-1800s. The Baobab is also called the Tree of Life because it is capable of providing shelter, food and water for the animal and human inhabitants of the African savannah. So Sirs and Ladies, we might have to do a road trip to confirm the authenticity of this unique watering hole. Now, that it way too cool! I could see Bilbo Baggins hoisting a tankard in this pub! Thanks for sharing.